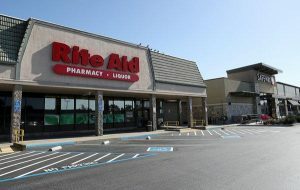 Rite Aid announced that it will start selling CBD lotions, creams and lip balms in Washington and Oregon this month, following other drugstore chains testing public demand for CBD-based consumer products, the company told on Thursday. The company said that their new line of CBD products is a result of the curiosity driven customers who have recently started requesting for CBD infused products. Rite Aid will be selling CBD products in more than 200 stores across the two states. CVS and Walgreens also recently announced similar products in several stores across the nation. All 3 drugstore chains will sell topical products. The non-intoxicating, anti-inflammatory substance is gaining increasing popularity because of its potential health benefits. CBD promises that it helps relieve stress, calms anxiety, and helps improve sleep patterns, though there are no specific evidence for these claims. Federal law allowed hemp derived CBD which has prompted many companies to come up with new range of products that are CBD infused. However, the Food and Drug Administration prohibits CBD in edibles and allows it only in the form of a specific drug that can treat two rare forms of epilepsy. It has strictly regulated CBD in any dietary supplements. The hemp derived CBD contains negligible traces of THC, tetrahydro cannabinoid, a substance which has psychoactive properties and causes ‘high’ when a user smokes marijuana. Prolonged use of cannabis which is high in THC can lead to mental disorders and even cause death in severe cases. The federal law has allowed CBD infused products with minimum concentration of THC, as low as 0.3%, above this the substance is illegal to produce, sell or consume. While the federal law supports CBD infused products, FDA has quite contrary regulations. The FDA and FTC recently sent warning letters to 3 companies for promoting their CBD products claiming they can treat cancer and Alzheimer’s. This has created a confusion amongst business leaders and companies looking forward to create CBD infused foods and drinks. The agency has announced a public hearing on the subject in May where the regulatory policies on CBD will be discussed. Despite of this, some have already started selling CBD foods and drinks to the front shelves for consumers. CBD infused foods and drinks are the hottest products in the market currently. Consumers are curious about using CBD and see the results for themselves. Creams, lotions and other beauty products are the safest options for retailers to go for. On Thursday,Chief Operating Officer Bryan Everett told analysts on a call while discussing the company’s fourth-quarter earnings results that Rite Aid also said that it’s going to stop selling e-cigarettes amongst a crackdown on what has been considered as teen vaping “epidemic”. However, Rite Aid will continue to sell cigarettes. “While many feel [e-cigarettes] are beneficial to those of legal age who are trying to quit the use of tobacco, we have made the decision to remove all electronic cigarettes and vaping products from our offering at all Rite Aid stores,” Everett said. Other bighead retailers like Walgreens has also come under fire for continuing selling cigarettes. The Food and Drug Administration called out Walgreens for allegedly selling tobacco products to minors which is illegal. CVS on the other hand stopped selling cigarettes nearly five years ago. Both Rite Aid and Walgreens said that they have downplayed cigarette sales in their stores. They also said they emphasized cessation of products such as nicotine patches and gums. Critics say that health-focused drug stores should refrain from selling products that are causing preventable death.